Custom made kitchen cabinets, custom closets, entertainment centers, custom office cabinets, storage units, garage cabinets, custom made closets and custom bathroom cabinets designed and made specifically for your home with your needs in mind, with a virtually endless array of sizes, shapes, and finishes. They represent the high end of kitchen quality and cost, and can feature any number of wood species and a wide range of construction and aesthetic detailing. At Boyadjian Kitchens , we are dedicated to providing superior quality and second to none customer service. All of our work is 100% guaranteed and we provide all services from design to complete custom made cabinet installation, and can also assist with financing. 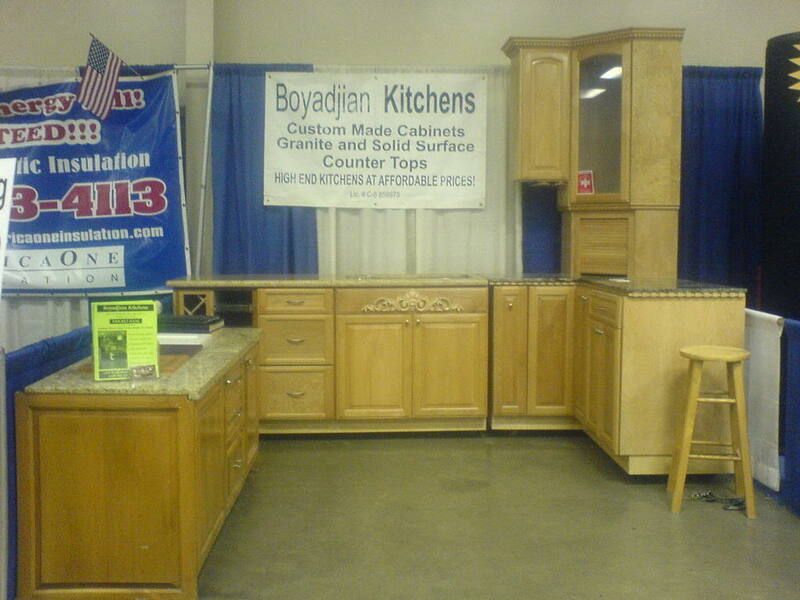 We have been building custom cabinets and selling online from the heart of California in Fresno since 2002. We take pride in working with our customers very closely to ensure all the work has been done to satisfaction. We use the latest design software that allows you to view the entire room, with every single cabinet before we begin building. Once you see our preliminary design, we can make all the changes at will. We will work with you to design your dream kitchen, office, entertainment room or bathroom. We specialize in complete remodel projects from top to bottom and also work in new homes. Since all of our work is custom done, you can choose from anything that you have seen somewhere or a picture, and we can match it. After you make your choices, leave it to us. We’ll handle the entire project, saving you time, money and headaches. Literally, just about any type of cabinetry you can imagine. Be sure to visit our Photo Gallery. All of our estimates are free of charge. Fill out this form, and we’ll get back to you in 24 hours, or call us at (559) 917-5336 in Fresno.